Customers trust reviews. 92% of customers consult reviews before making a purchase. Review pages show customers the authentic experiences of other customers. Responding to reviews is necessary for every business. After all, lots of customers form their initial impressions of your business based on your review page. When a business takes the time to thank happy customers and apologize to unhappy customers and attempt to fix the problems they experienced, they show that they are dedicated to customer service. The statistics show how important review responses are. Studies have shown that 53% of customers expect a business to reply to them on review sites. But that’s not all. Responding to reviews is increases the number of customers that will recommend businesses to your friends and family. Research shows that businesses experience a 16% boost in customer advocacy after dealing with negative reviews. By responding to reviews, you are helping to get new customers and boost your business. What helps you with customers also helps you with search engines. Google wants to give customers the best results for their queries. So the factors that it relies upon to provide reliable search results are often the same factors that customers use to determine if a business is trustworthy. Review diversity, review recency, and review quantity are all signals that are taken into account by Google’s search algorithm. You can make sure that your business is being discovered by paying attention to how your business is performing in regards to these factors. But those aren’t the only review factors that Google takes into account. Remember, reviews help you appear more trustworthy with customers. So it naturally follows that they also help you with search engines. When you take the time to respond to reviews, your business is going to improve its Local SEO. That means you have a higher chance of showing up in the local pack results: the first three businesses that show up in Google search queries. That means more customers and ultimately, more revenue. Reviews can be difficult to tackle. Giving a personalized response to every review is something that can take up a lot of time. With all the work that goes into running a business, responding to reviews is something that employees can easily fall behind on. Responding to reviews is even harder because you’re dealing with a time limit. 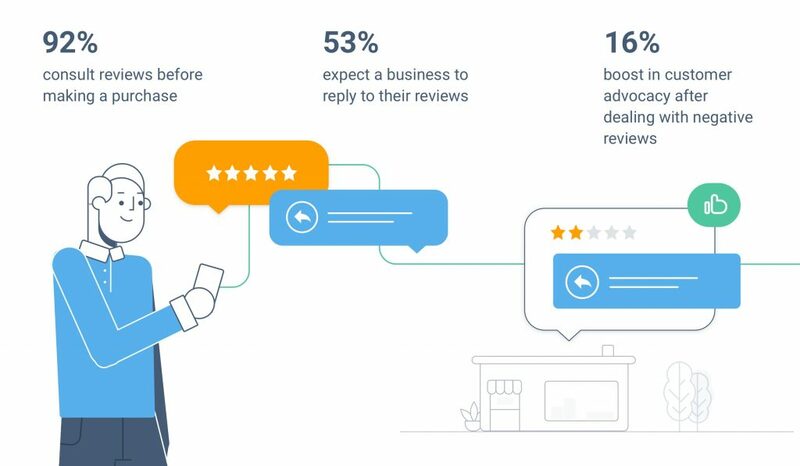 Research shows most customers expect customers to respond to reviews within 24 hours. Once that timeframe is over, it’s often too late to change a negative reviewer’s mind about your services. Luckily, there are tools that business owners can use to help them stay on top of customer reviews. By utilizing these tools, businesses can improve brand perception and attract new customers. Responding to reviews on large platforms like Google and Facebook is difficult enough. But business owners have a lot of other websites to worry about. There are hundreds of different review sites on the Internet. Staying on top of customer reviews is important to manage brand perception and help your business rank higher on Google and other search engines. Here are some tools that can help you respond quickly and effectively to every customer review. With so many reviews being posted about your business all around the Internet, it can be hard to keep track of all of them. Just paying attention to Google and Facebook is hard enough, but you also have to make sure you’re responding to reviews from the hundreds of smaller review sites where customers may be posting about your business. For negative reviews, it’s crucial to give customers a response as quickly as possible. If you wait too long, it might be too late and the customer might have a bad opinion about your business that cannot be changed. However, if you do get to the customer in time, you can turn their negative experience into a positive one. That means you need to know the second a bad review is posted. 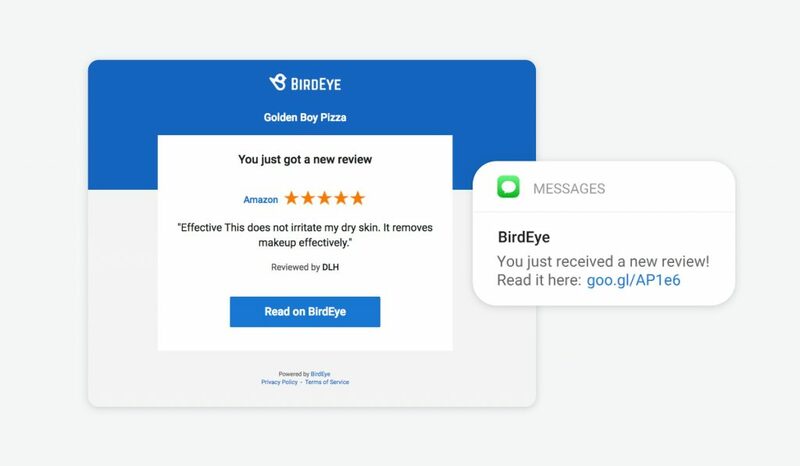 BirdEye’s platform gives businesses automatic review notifications when reviews are posted. In your business’s dashboard, you can monitor more than 150 sites. You can choose the sites that are most important to you, then have the ability to respond automatically. You can also choose specific situations to get notifications. With automatic review notifications, you can make sure that you are responding to reviews within 24 hours. While it’s easy to miss reviews, automatic notifications ensure that every single review you want to see is brought to your attention. You and your employees are busy with all the work it takes to run a business. You don’t have time to respond to every review. With response templates, you don’t need to. BirdEye has response templates that you can use as soon as you alerted of a review. We’ve built a variety of positive and negative response templates to lessen the work that businesses need to do. Some people worry that templates might quickly get repetitive. BirdEye gets around this problem by offering lots of different templates and the ability to create your own. You can also set rules so that the same template is not used for consecutive reviews. You also have the option of automating the review response process entirely. 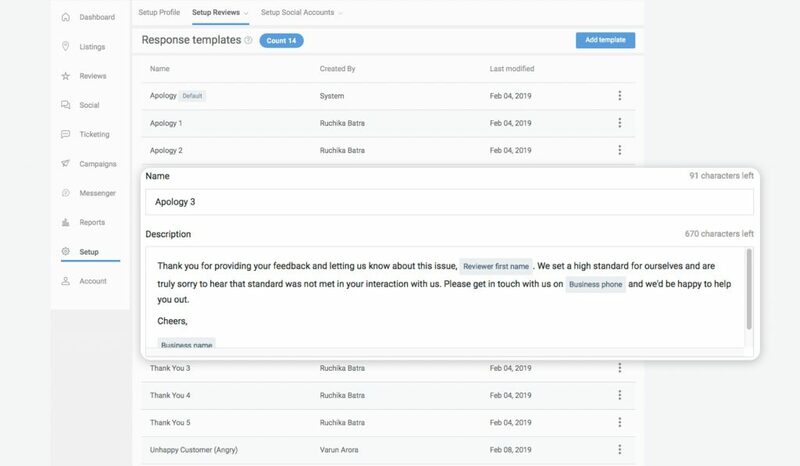 You can set auto-response rules so you can stay focused on your business operations while promptly responding to every review. With automated responses, you can automatically respond to certain customer reviews with templates. Of course, response templates and automated responses don’t work great for every situation, as we’ll discuss in more detail in the next section. We allow business owners to set auto-response criteria so that you can choose which reviews to respond to personally. Response templates can help your business respond to some feedback. Unfortunately, they don’t work all the time. Typically, we only recommend businesses use review responses when they receive 1-star and 5-star reviews. Response templates work great when a customer is uncritically praising your business. In situations like these you usually just need to give a polite “Thank You” message. When a customer leaves a 1-star review, you typically need to apologize and direct them to an offline forum to handle the complaint. Reviews like these typically can’t be solved with templates since they are partially a compliment and partially a complaint. 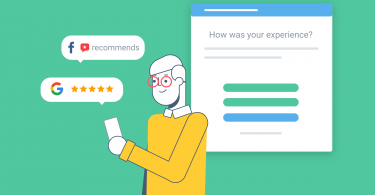 A personalized review response must thank the customer for the compliment while also apologizing and promising to fix the problem the customer was upset about. Because you’re dealing with ambiguity when you have 2-star, 3-star, or 4-star reviews, automated review responses aren’t going to cut it. Most of the time, personalized review responses are necessary for these situations. Still, it’s easy to fall behind on these responses when you and your employees are busy with your usual tasks. Even if you assign the responsibilities of responding to reviews to an employee, it’s hard to track how often and how quickly responses are coming. That’s where review ticketing can help your business stay on top of customer feedback. BirdEye also offers a ticketing feature. With review tickets, you can assign the task of responding to reviews to specific employees. When the response has been finished and the problem has been dealt with, employees will be able to close the ticket. The dashboard also allows you to view the status of your tickets. You can see how many tickets are open and how long it has taken for employees to close tickets. You’ll be able to track employee performance when it comes to sending personalized review responses. There’s no one tool that can magically solve the problem of responding to reviews. But by using several tools together, you can make the process easier for you and your employees. With automatic notifications, automatic responses, and review ticketing, businesses can effectively manage customer perception and increase search ranking. 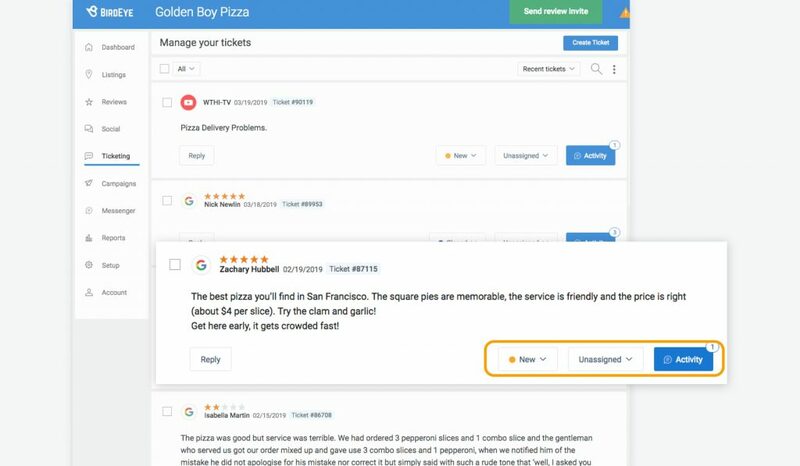 With BirdEye, you can use automation and ticketing to respond to every customer review that comes your way. But that’s not all we do. BirdEye’s all-in-one platform allows businesses to handle all areas of customer feedback. 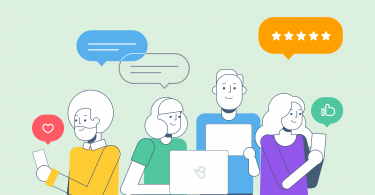 With BirdEye, customers can get new reviews, send surveys to customers, track reviews from more than 200 websites, and receive actionable insights. Our product is designed to help business on every step of the journey from reviews to revenue. Watch a demo to find out why more than 50,000 businesses use BirdEye to drive growth and get new customers.